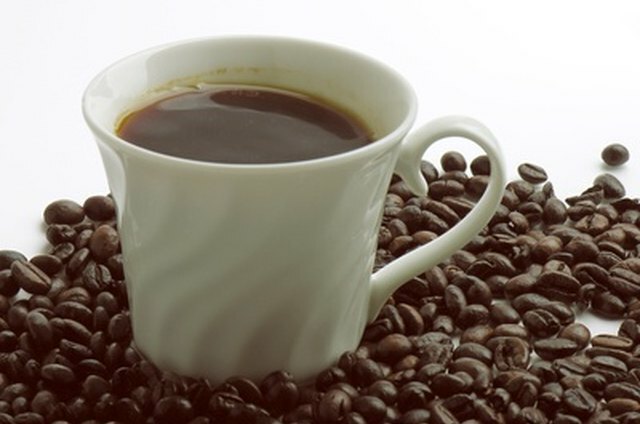 Boiling coffee grounds is one of the oldest forms of making coffee. 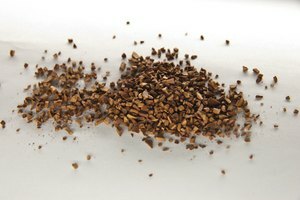 Referred to as "cowboy coffee," the technique is as basic as boiling water. While you'll get the best coffee flavor by keeping the water just below the boiling point, strong coffee is achieved by boiling. Boiling also may bring out the bitterness of the grounds, so you may have to adjust the amount of grounds you use after tasting your first pot. Fill the saucepan or coffeepot with the desired amount of water. Figure each 6 ounces of water in the pot is equivalent to a cup of coffee. Measure 1 tbsp. of ground coffee for each 6 ounces of coffee you plan to make. Place the coffee into the water and bring the water to a boil. Continue to boil the coffee and water until you get the desired color in the pot. You are looking for a dark brown color; this will take 3 to 5 minutes. Remove the pot from the heat and allow it to cool slightly. As the coffee cools, the grounds will settle to the bottom of the pot. Pour the coffee carefully, so you don't disturb the grounds in the bottom of the pot. Use hot pads or an oven mitt when pouring the coffee into cups. The pot may be hot and splashes from the coffee may cause burns.